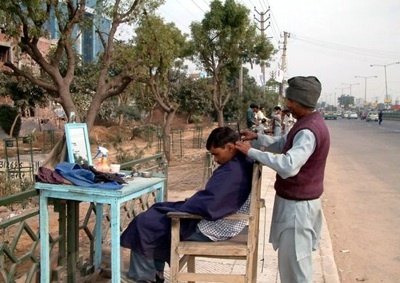 Streetside barbers are quite common in India, at least in the smaller towns. 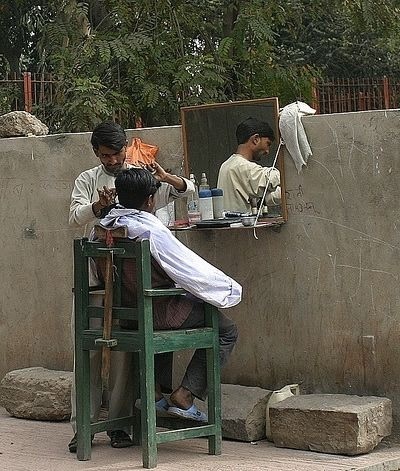 A hair cut can certainly wait for good weather. The tools are very portable. Note the cool adjustable head rest on the chairs. 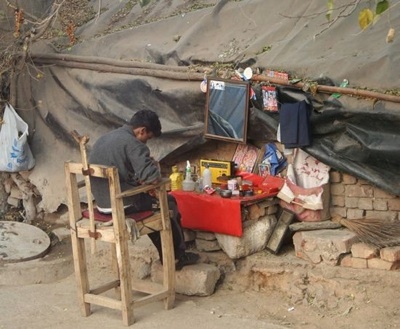 This set of pictures comes from Dark Roasted Blend.